Michel Laplate, president of the Québec Capitales franchise and vice-president of the Can-Am Independent Baseball League, heads a delegation that arrived in Havana on a working visit. 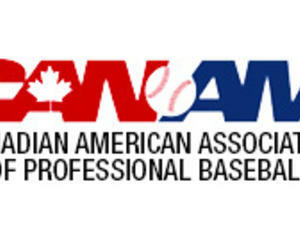 According to the Cuban press, the group of Can-Am executives will evaluate on Wednesday and Thursday with officials of the National Baseball Department (DNB by its Spanish acronym) and the National Institute of Sports, Physical Education and Recreation (INDER by its Spanish acronym) the presence of a Cuban team in that contest. In the meetings there will also be discussed the hiring of Cuban players by teams of the aforementioned league, as it was done in the previous campaign. The novelty on this occasion is the presence of an U18 squad in a youth tournament, which will take place in the province of Quebec. The parties will also hold a press conference this Friday at 10 am at Adolfo Luque hall, in the Latinoamericano stadium.